These examples are based on commercial products either already released or in progress. The screen shots and animated demos are from working midlets that will run on a mobile phone. 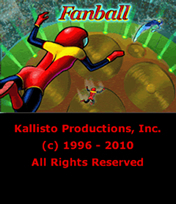 Fanball is a casual game played in a simulated indoor arena. Fans in the floor blow hard enough to keep players aloft; its like being in a very large skydiving simulator. Balls fall from the top of the arena. The player scores by touching a ball. A bird tries to block the player from scoring. After the player falls 6 times on a level, the game is over. There are 8 levels with planets and stars as backgrounds, and some additional space objects to catch. 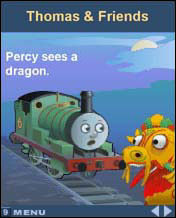 Developed by Kallisto Productions for Vocel, Thomas & Friends is an animated children's storybook. Kallisto rendered a 32 page illustrated book into an attractive and dynamic presentation suitable for viewing on the cell phone. As the story is read aloud by the familiar TV voice, each word is individually highlighted. Kallisto developed a special technique for syncing word highlighting to the audio narration, giving the story its educational quality. Thomas the Tank Engine & Friends ® © Gullane (Thomas) Limited. 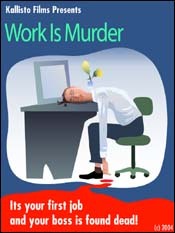 Work is Murder (titled "Mystery At Work" on the Sprint system) is an interactive murder mystery spanning three episodes. Accused of the murder, you elude the police and discover the real murderer. The story exposes the foibles and tribulations encountered by a twentysomething in their first real job. Written by Jason Henderson in association with Critical Mass Interactive. © Kallisto 2004. 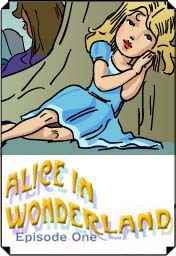 Animated story for children with new illustrations by Kallisto and the original text (abridged) by Lewis Carroll. Contains a "one-button" word recognition game. © Kallisto 2006. Christmas at the Cathedral is a TV Mobile Companion promoting a Christmas TV special. 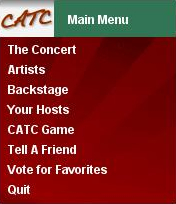 The Companion contains artists profiles, behind the scenes features, voting for a favorite artist, and a casual game. Produced in association with MojoIM. © Kallisto, MojoIM and Tres Bien Productions 2007.